Domestic openwell pump need to be safe, efficient in performance, must consume power very reasonably and above all must be very durable. 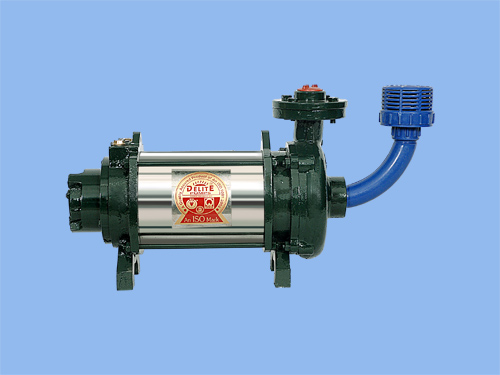 We, keeping I mind, these requirements of our clients manufacture our superior quality pumps. We manufacture them with the assistance of cutting edge technology. Our products are fabricated from premium grade basic materials in compliance with the industrial norms. The quality make on our part, makes our domestic pump very robust and ideal for great fluctuations in water level.We offer these pumps ranging from 0.5 to 12.5 HP. They can function under the water at the bottom part of the well with no suction &priming complications.The Pump volute chamber is very specifically designed to give dynamically balanced impellers to ascertain zero vibration functionality. Our products are quality tested and verified to make certain that they offer flawless performance.These are compatible for pumping clear, cold, unpolluted, thin, non-explosive fluids free from abrasives as well as fresh water. We are the leading suppliers of domestic openwell submersible pump sets in india & offer them at very reasonable prices.